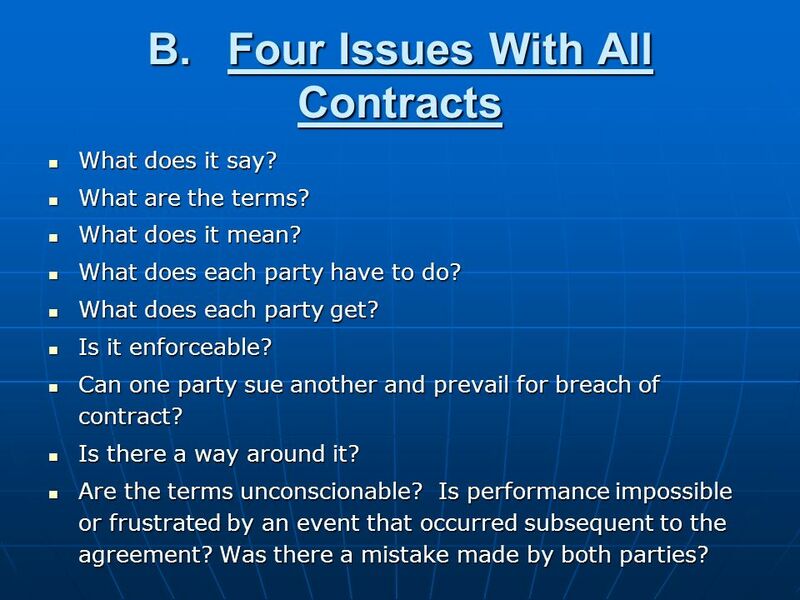 4 B.Four Issues With All Contracts What does it say? What does it say? What are the terms? What are the terms? What does it mean? What does it mean? What does each party have to do? What does each party have to do? What does each party get? What does each party get? Is it enforceable? Is it enforceable? Can one party sue another and prevail for breach of contract? Can one party sue another and prevail for breach of contract? Is there a way around it? Is there a way around it? Are the terms unconscionable? Is performance impossible or frustrated by an event that occurred subsequent to the agreement? Was there a mistake made by both parties? Are the terms unconscionable? Is performance impossible or frustrated by an event that occurred subsequent to the agreement? Was there a mistake made by both parties? 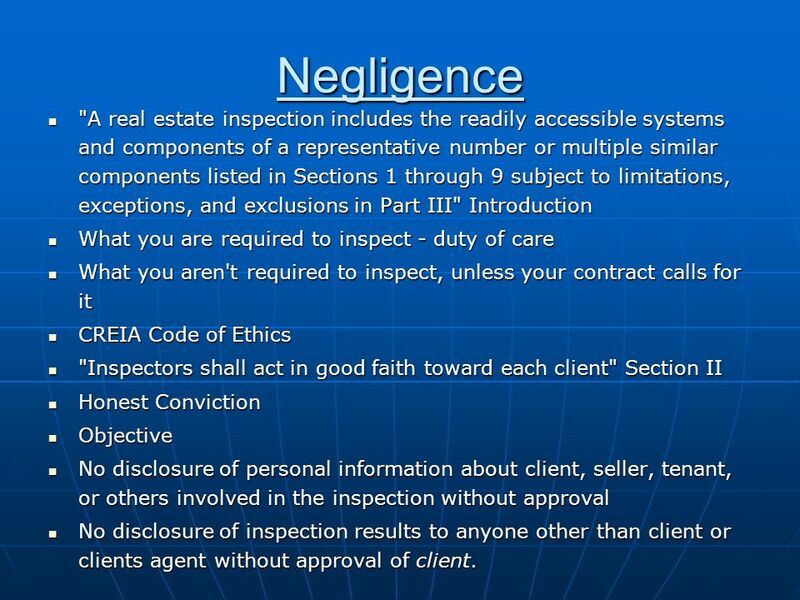 13 Negligence "A real estate inspection includes the readily accessible systems and components of a representative number or multiple similar components listed in Sections 1 through 9 subject to limitations, exceptions, and exclusions in Part III" Introduction "A real estate inspection includes the readily accessible systems and components of a representative number or multiple similar components listed in Sections 1 through 9 subject to limitations, exceptions, and exclusions in Part III" Introduction What you are required to inspect - duty of care What you are required to inspect - duty of care What you aren't required to inspect, unless your contract calls for it What you aren't required to inspect, unless your contract calls for it CREIA Code of Ethics CREIA Code of Ethics "Inspectors shall act in good faith toward each client" Section II "Inspectors shall act in good faith toward each client" Section II Honest Conviction Honest Conviction Objective Objective No disclosure of personal information about client, seller, tenant, or others involved in the inspection without approval No disclosure of personal information about client, seller, tenant, or others involved in the inspection without approval No disclosure of inspection results to anyone other than client or clients agent without approval of client. 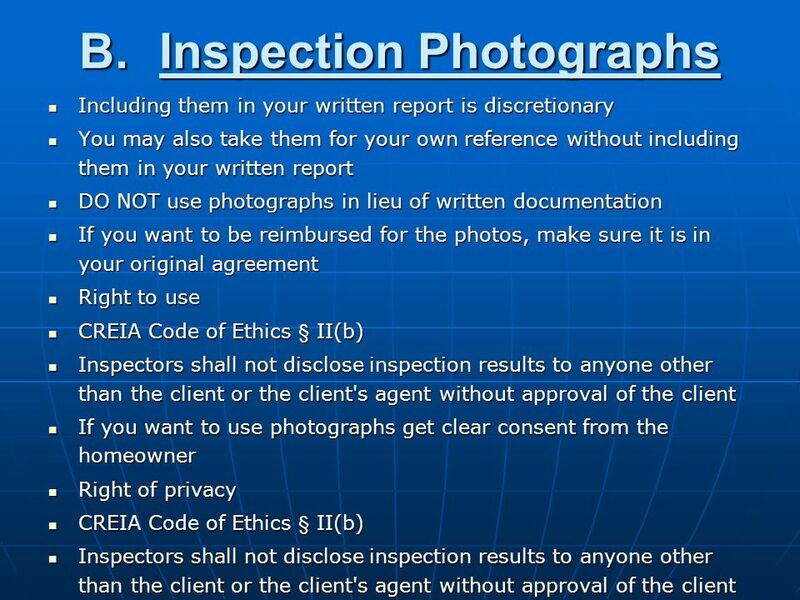 No disclosure of inspection results to anyone other than client or clients agent without approval of client. 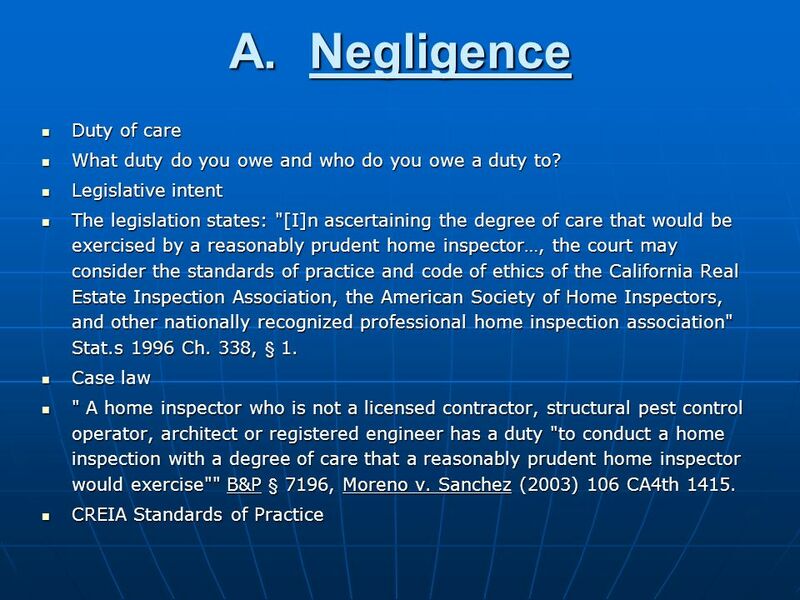 14 B.Liability Home Inspector Home Inspector Statute Statute A home inspection company that negligently fails to discover or disclose defects in real property may be liable to a client who purchases that property. 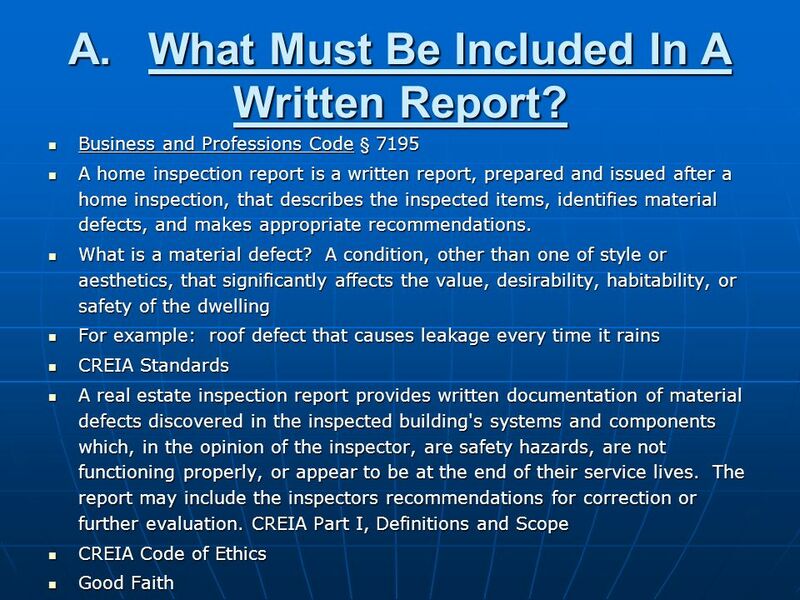 B & P Code §7196 A home inspection company that negligently fails to discover or disclose defects in real property may be liable to a client who purchases that property. 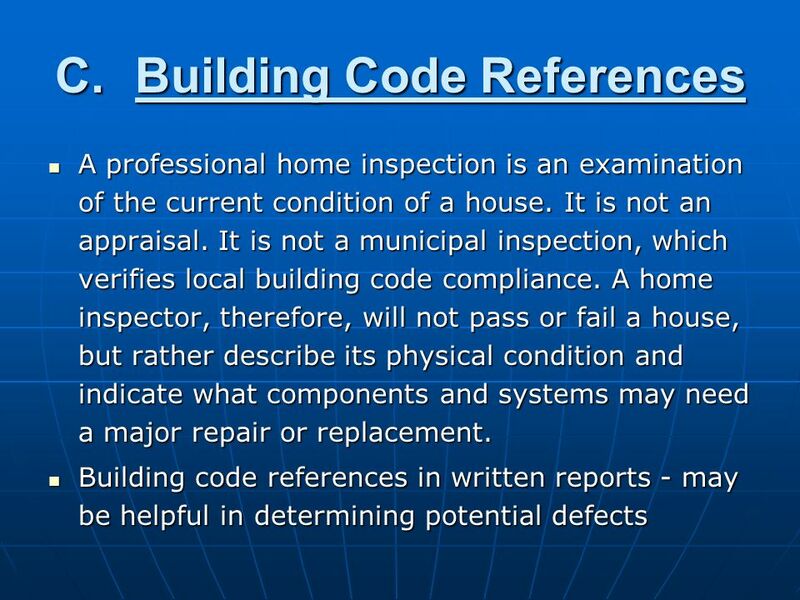 B & P Code §7196 Case law Case law A home inspector or home inspection company that negligently fails to discover and/or disclose defects in real property it inspects may be liable to clients who purchase the property for breach of the common law or statutory duty to exercise due care in inspecting the property and preparing a home inspection report. Moreno v. Sanchez (2003) 106 CA4th 1415. 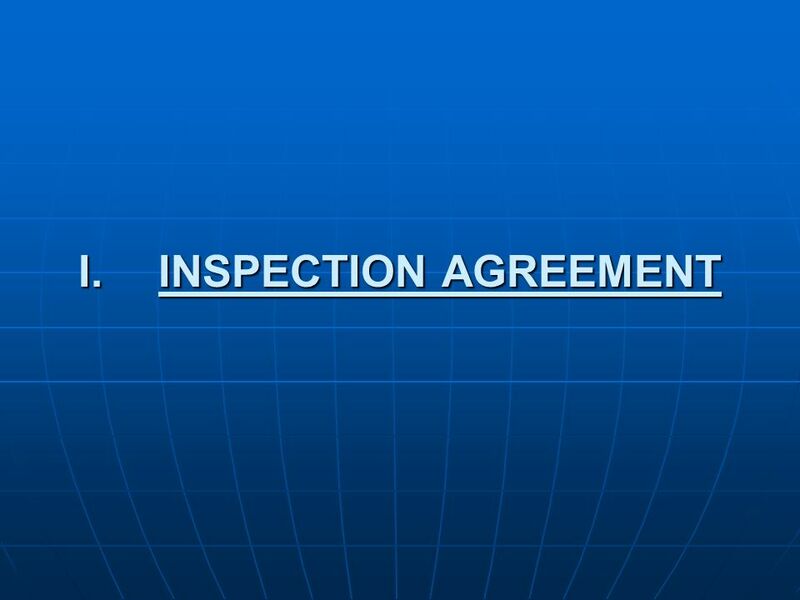 A home inspector or home inspection company that negligently fails to discover and/or disclose defects in real property it inspects may be liable to clients who purchase the property for breach of the common law or statutory duty to exercise due care in inspecting the property and preparing a home inspection report. Moreno v. Sanchez (2003) 106 CA4th 1415. 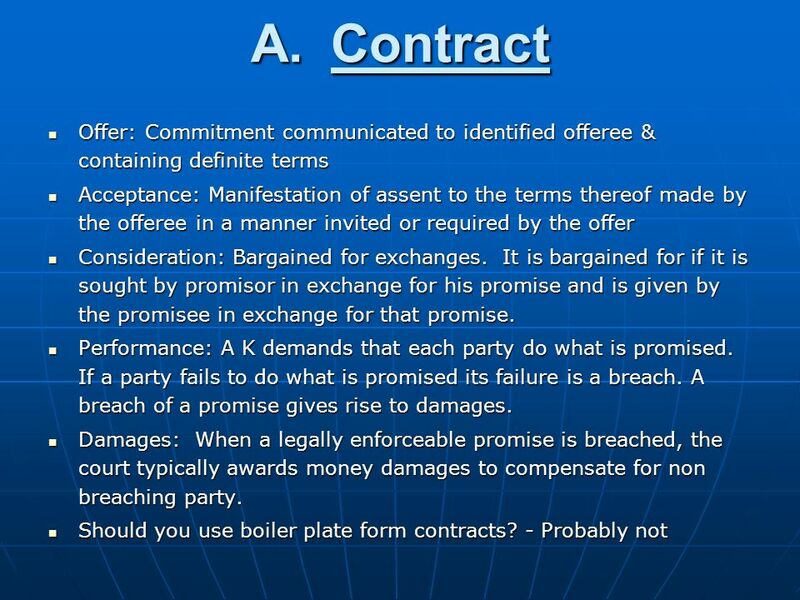 What about your contract? Can they only sue on the K or can they sue you for Torts? 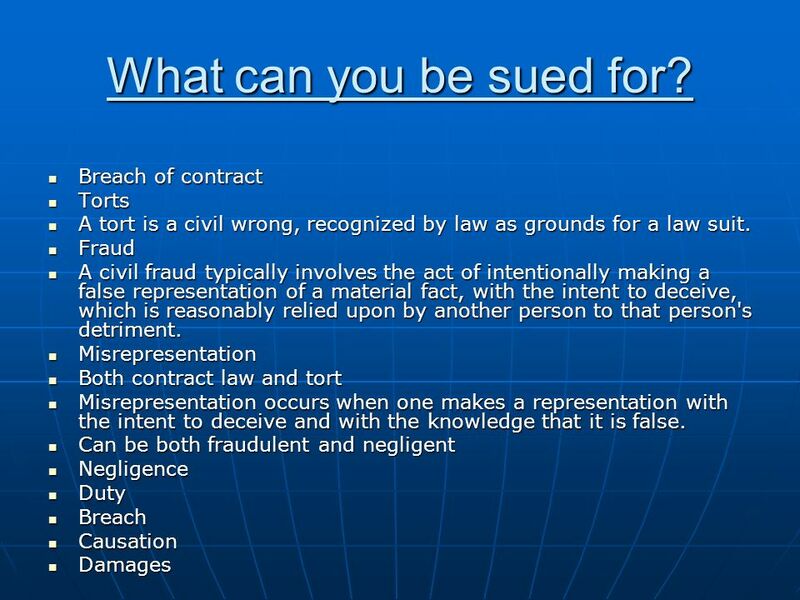 Yes, they can sue you on a tort cause of action. 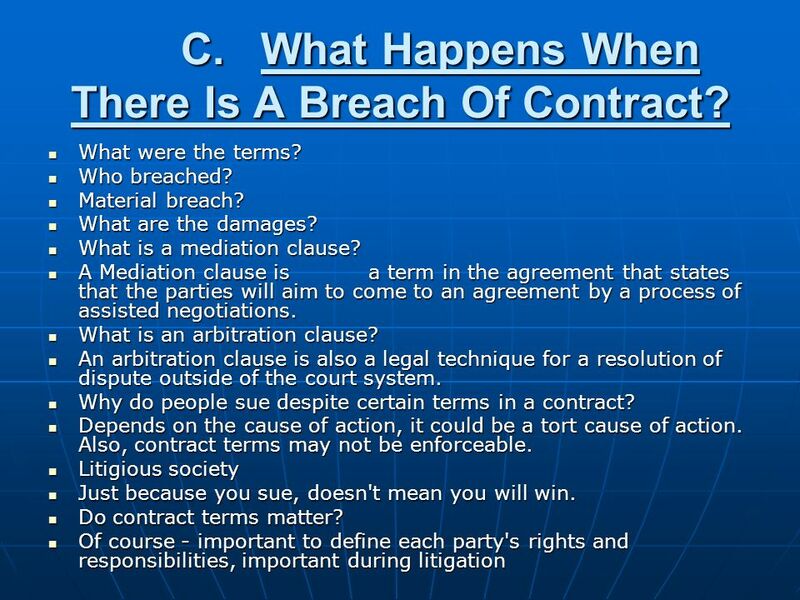 What about your contract? Can they only sue on the K or can they sue you for Torts? Yes, they can sue you on a tort cause of action. 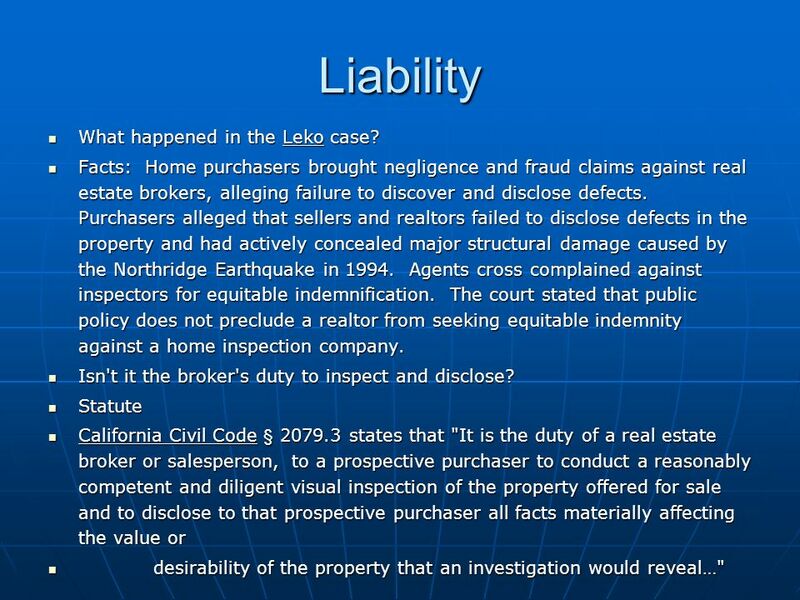 According to Leko, an inspector may be liable in tort despite a written contract. 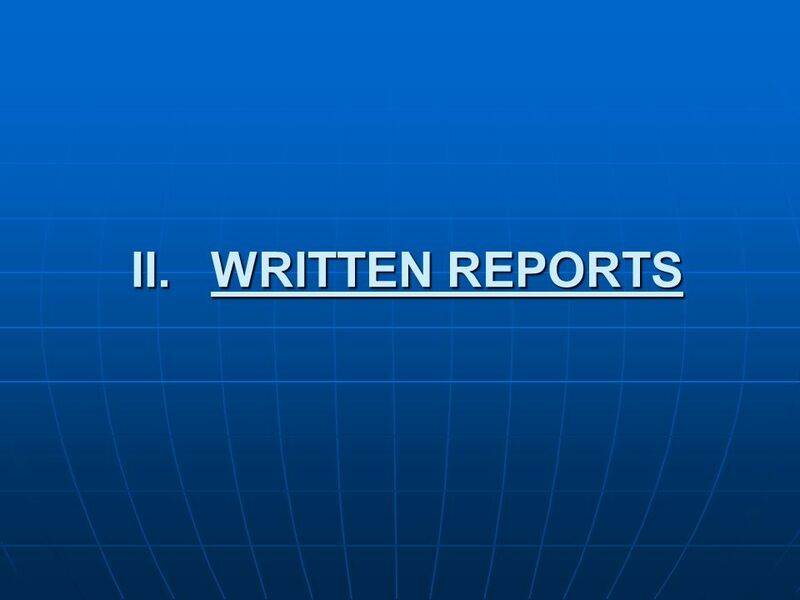 Leko v. Cornerstone building inspection service, (2001) 86 CA4th 1109 at 1116, 1119. 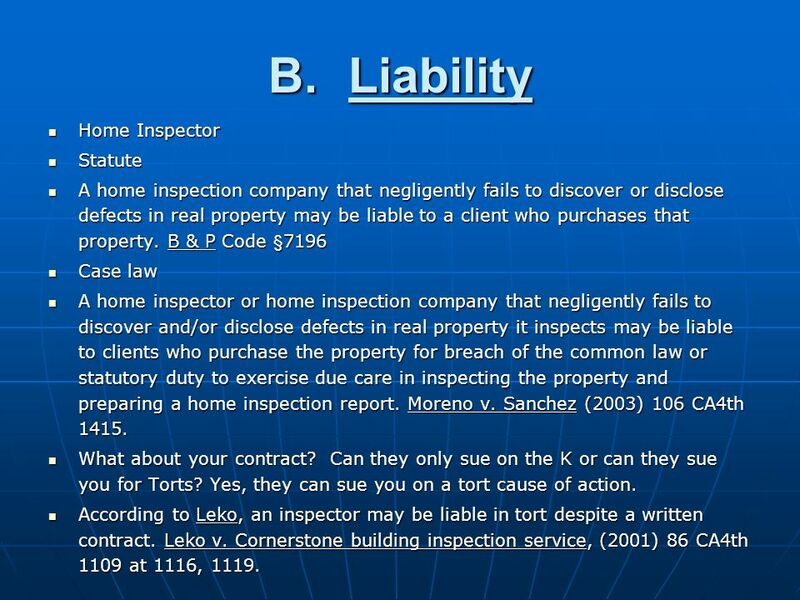 According to Leko, an inspector may be liable in tort despite a written contract. Leko v. Cornerstone building inspection service, (2001) 86 CA4th 1109 at 1116, 1119. 15 Liability What happened in the Leko case? What happened in the Leko case? Facts: Home purchasers brought negligence and fraud claims against real estate brokers, alleging failure to discover and disclose defects. Purchasers alleged that sellers and realtors failed to disclose defects in the property and had actively concealed major structural damage caused by the Northridge Earthquake in 1994. Agents cross complained against inspectors for equitable indemnification. The court stated that public policy does not preclude a realtor from seeking equitable indemnity against a home inspection company. Facts: Home purchasers brought negligence and fraud claims against real estate brokers, alleging failure to discover and disclose defects. Purchasers alleged that sellers and realtors failed to disclose defects in the property and had actively concealed major structural damage caused by the Northridge Earthquake in 1994. Agents cross complained against inspectors for equitable indemnification. The court stated that public policy does not preclude a realtor from seeking equitable indemnity against a home inspection company. Isn't it the broker's duty to inspect and disclose? Isn't it the broker's duty to inspect and disclose? Statute Statute California Civil Code § 2079.3 states that "It is the duty of a real estate broker or salesperson, to a prospective purchaser to conduct a reasonably competent and diligent visual inspection of the property offered for sale and to disclose to that prospective purchaser all facts materially affecting the value or California Civil Code § 2079.3 states that "It is the duty of a real estate broker or salesperson, to a prospective purchaser to conduct a reasonably competent and diligent visual inspection of the property offered for sale and to disclose to that prospective purchaser all facts materially affecting the value or desirability of the property that an investigation would reveal…" desirability of the property that an investigation would reveal…"
16 Liability Case law Case law Under Easton v. Strassburger, the court held that a sellers broker has a duty to conduct a reasonably competent and diligent inspection of the residential property listed for sale and to disclose to prospective purchasers all facts materially affecting the value or desirability of the property that such an investigation would reveal. 152 Cal.App.3d 90. 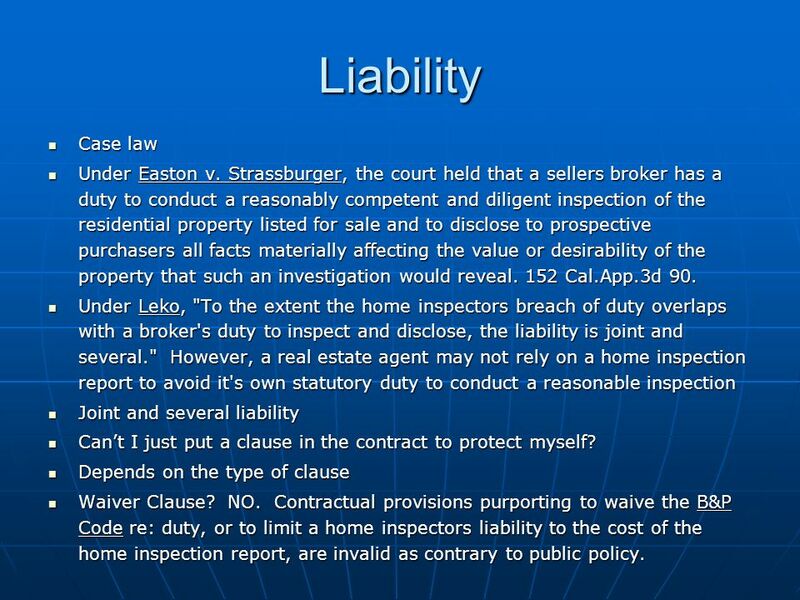 Under Easton v. Strassburger, the court held that a sellers broker has a duty to conduct a reasonably competent and diligent inspection of the residential property listed for sale and to disclose to prospective purchasers all facts materially affecting the value or desirability of the property that such an investigation would reveal. 152 Cal.App.3d 90. 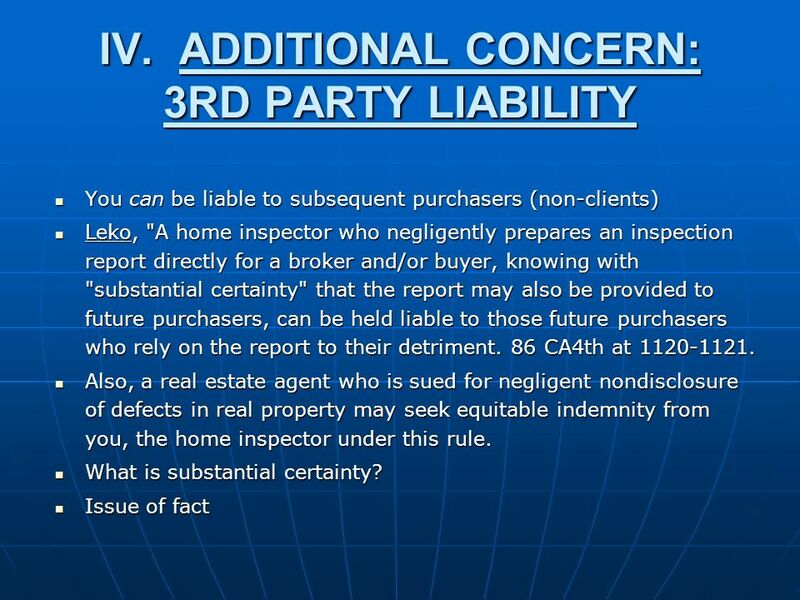 Under Leko, "To the extent the home inspectors breach of duty overlaps with a broker's duty to inspect and disclose, the liability is joint and several." 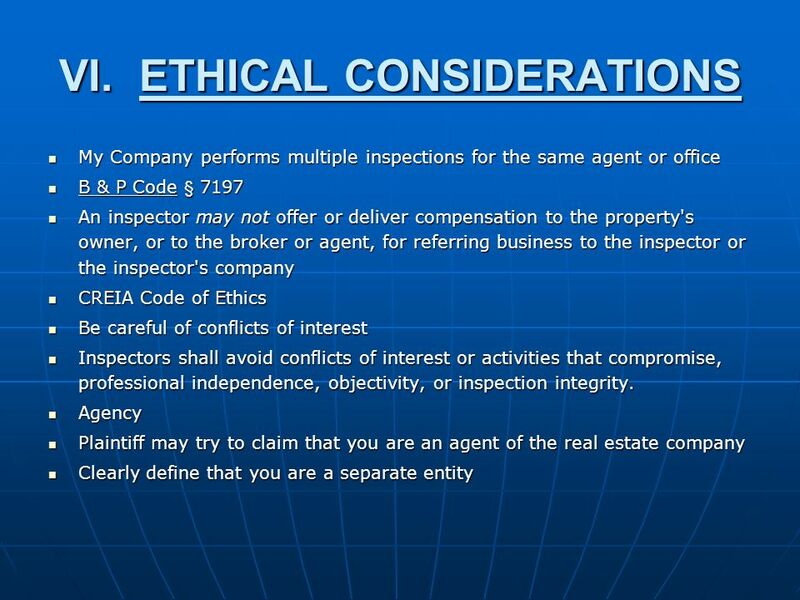 However, a real estate agent may not rely on a home inspection report to avoid it's own statutory duty to conduct a reasonable inspection Under Leko, "To the extent the home inspectors breach of duty overlaps with a broker's duty to inspect and disclose, the liability is joint and several." However, a real estate agent may not rely on a home inspection report to avoid it's own statutory duty to conduct a reasonable inspection Joint and several liability Joint and several liability Cant I just put a clause in the contract to protect myself? Cant I just put a clause in the contract to protect myself? Depends on the type of clause Depends on the type of clause Waiver Clause? NO. Contractual provisions purporting to waive the B&P Code re: duty, or to limit a home inspectors liability to the cost of the home inspection report, are invalid as contrary to public policy. Waiver Clause? NO. Contractual provisions purporting to waive the B&P Code re: duty, or to limit a home inspectors liability to the cost of the home inspection report, are invalid as contrary to public policy. 18 V.WHAT IS THE TIME LIMIT FOR SOMEONE TO SUE ME? Statute of limitations - Statute of limitations - What is a statute of limitations? What is a statute of limitations? Business and Professions Code §7199 Business and Professions Code §7199 On an action for breach of duty arising from a home inspection report is normally four years from date of inspection On an action for breach of duty arising from a home inspection report is normally four years from date of inspection However, beware of the "delayed discovery" rule. However, beware of the "delayed discovery" rule. 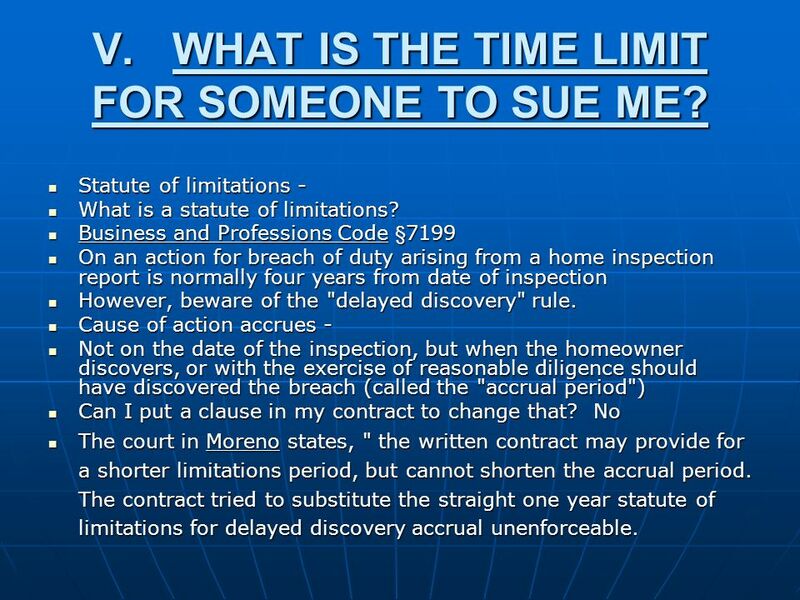 Cause of action accrues - Cause of action accrues - Not on the date of the inspection, but when the homeowner discovers, or with the exercise of reasonable diligence should have discovered the breach (called the "accrual period") Not on the date of the inspection, but when the homeowner discovers, or with the exercise of reasonable diligence should have discovered the breach (called the "accrual period") Can I put a clause in my contract to change that? No Can I put a clause in my contract to change that? No The court in Moreno states, " the written contract may provide for a shorter limitations period, but cannot shorten the accrual period. The contract tried to substitute the straight one year statute of limitations for delayed discovery accrual unenforceable. The court in Moreno states, " the written contract may provide for a shorter limitations period, but cannot shorten the accrual period. The contract tried to substitute the straight one year statute of limitations for delayed discovery accrual unenforceable. 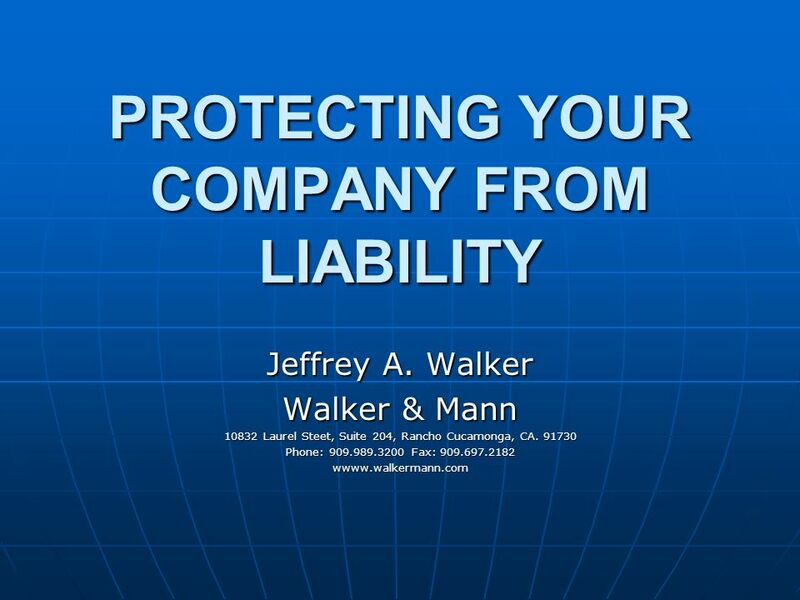 Download ppt "PROTECTING YOUR COMPANY FROM LIABILITY Jeffrey A. Walker Walker & Mann 10832 Laurel Steet, Suite 204, Rancho Cucamonga, CA. 91730 Phone: 909.989.3200 Fax:"
Consideration Definition: X promises not to file a suit against Y if Y pays him $100 by a fixed date. The forbearance of X is the consideration for Y's. AVOIDING THE E&O CLAIMS MINEFIELD Understanding your Errors & Omissions Insurance & Tips to Avoid Claims. Understanding Legal Liability to Avoid Legal Liability Nigel Trevethan Steven Abramson Mortgage Brokers Association of British Columbia Kelowna – October. Part III Formation Defenses. Voidable Contract: R2 § 7 A voidable contract is one where one or more parties have the power, by a manifestation of election. Chapter 12 The Broker’s Role in the Transfer of Real Estate.